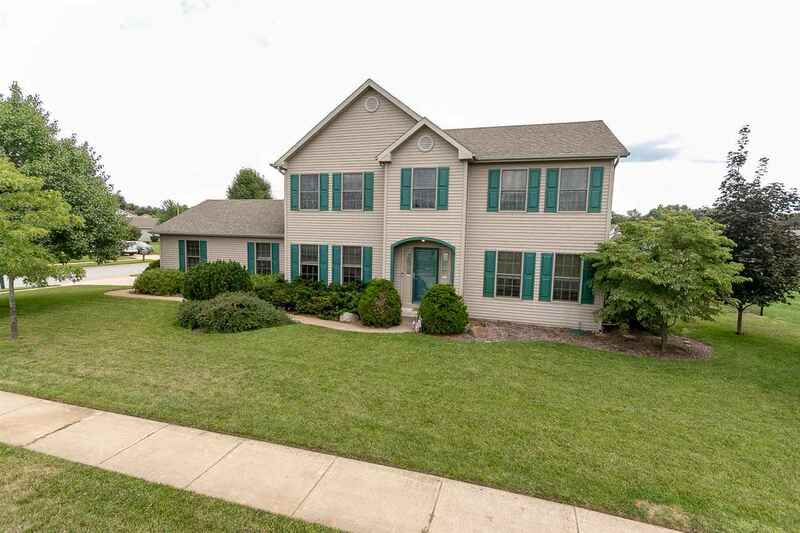 Great buy in highly sought-after Bridlewood located in Penn Schools. This 2-story traditional sits on a huge corner lot with a fully fenced in backyard. Entertain in the huge living room with gas log fireplace. Nice kitchen which includes all stainless steel appliances, an island, and a large eat-in area. Host meals in the large formal dining room. Finally, the main level is finished off with convenient laundry room and 1/2 bath. Upstairs you will find the master suite with its own private bath which features dual sinks and a large walk-in closet. 3 additional nice-sized bedrooms and full hall bath round out the upper level. Lower level is finished with a family room with egress window, and 2 additional rooms that could be used for home office/gym or with the installation of egress windows, bedrooms. A great home in a great neighborhood. Call today for your private tour!